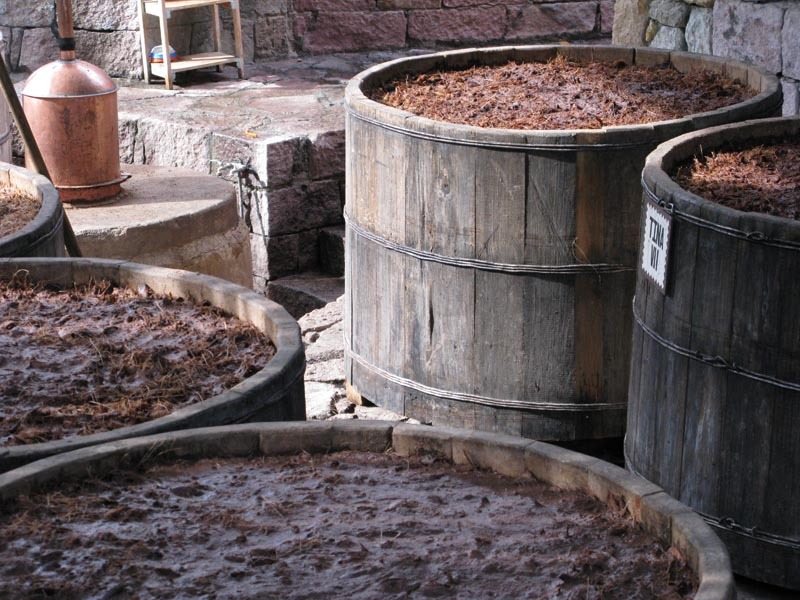 Fermentation takes place in vertical wooden vats called tinas. 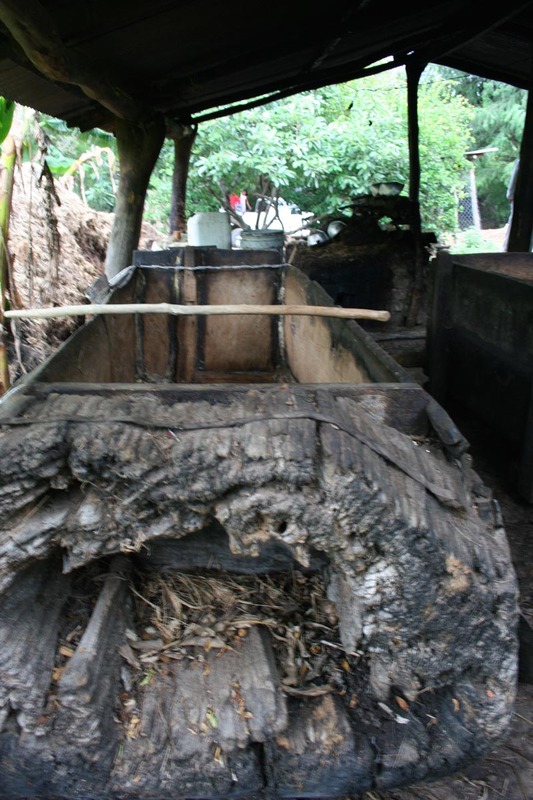 They can be made of various woods: oak, cypress, pine, which slightly influence the flavor of the mezcal. 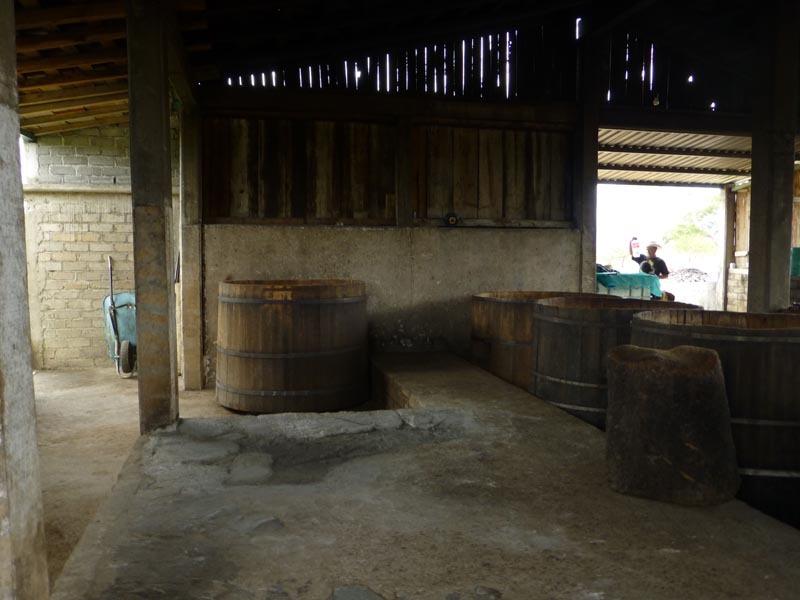 The crushed agaves, both fibers and juices, are moved to the tinas, the fluids in buckets, the fibers by pitchfork and wheelbarrow. 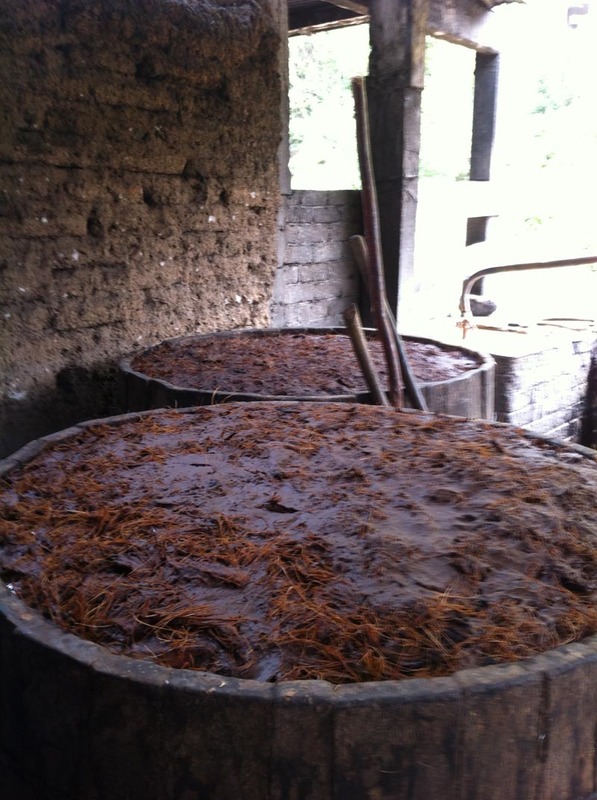 Tequilas producers filter out the fibers, which is why good artisanal mezcal is richer and more complex. The rocks help keep the fermentation from bubbling up. 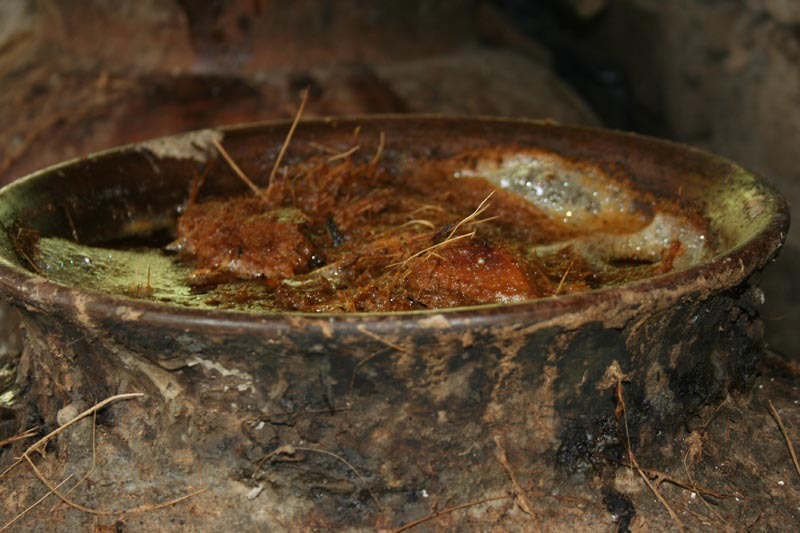 Artisanal mezcal makes use of local native wild yeasts that are just there, looking for a good meal. After a while, the same strain of yeast tends to always be there, in the staves of the fermentation tanks on the milling surface or floating in the air. 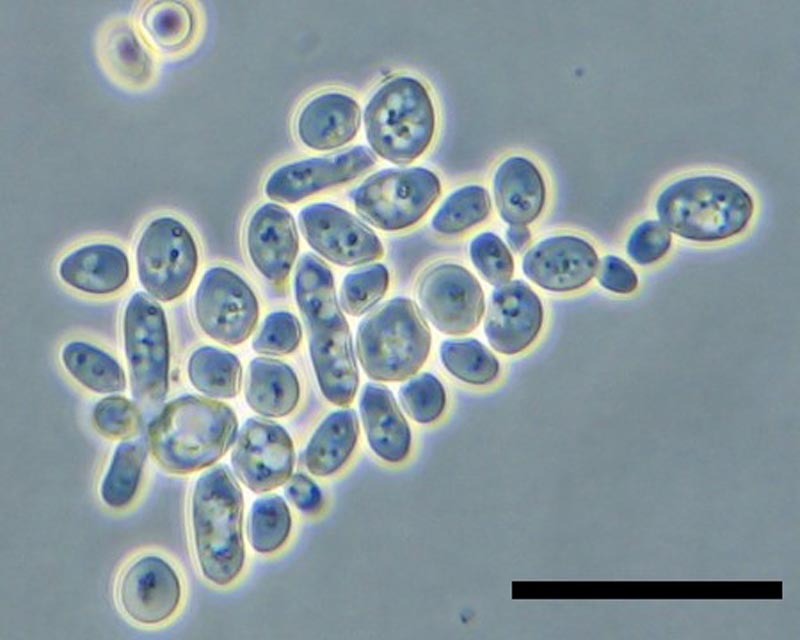 Most tequila producers use domesticated commercial yeast, usually wine yeasts: wild yeasts are unpredictable, so using commercial yeasts yields more consistent product. 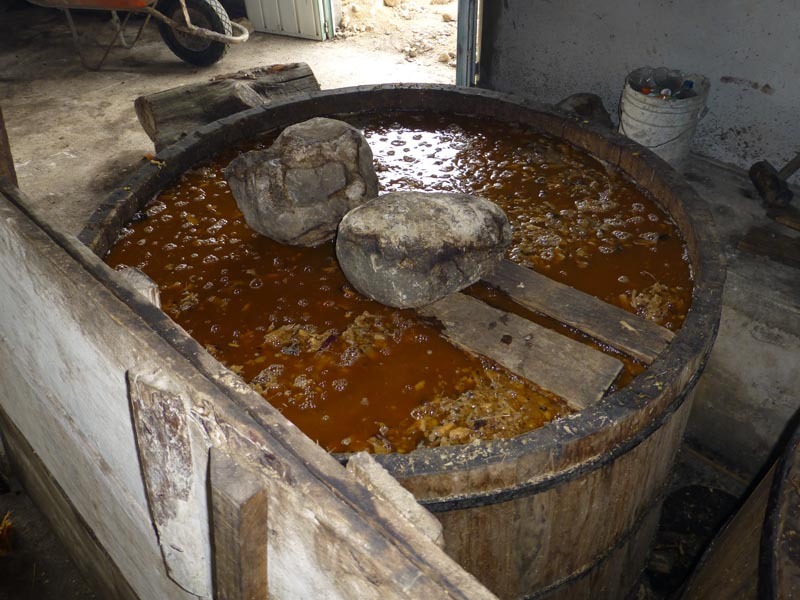 On the other hand, the edginess and ferality of wild yeasts usually makes artisanal mezcal more interesting. The Alipús producers have learned to collect the wild yeast from a good batch, save it, and then “inoculate” the next fermentation with this well-working wild yeast. Good fermentation looks rich. It takes days, up to a couple of weeks if the weather is cold. 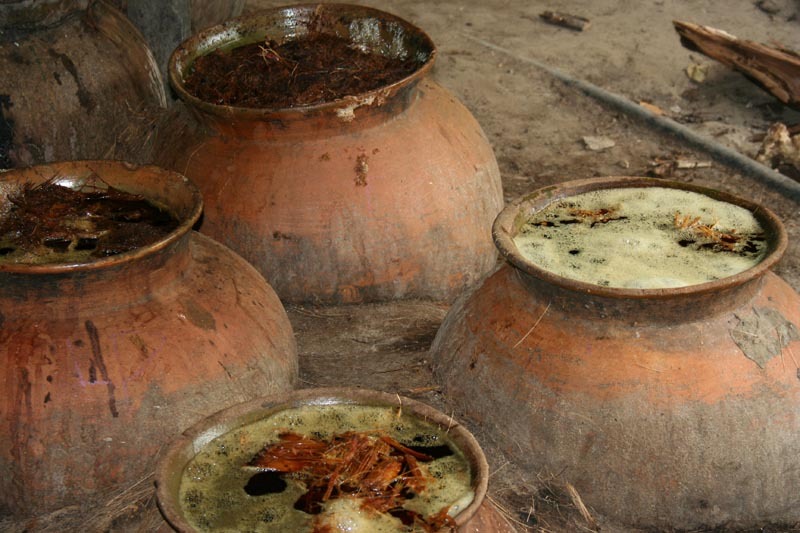 Don Amado in San Juan Bautista Jayacatlan uses small clay pots instead of tinas.